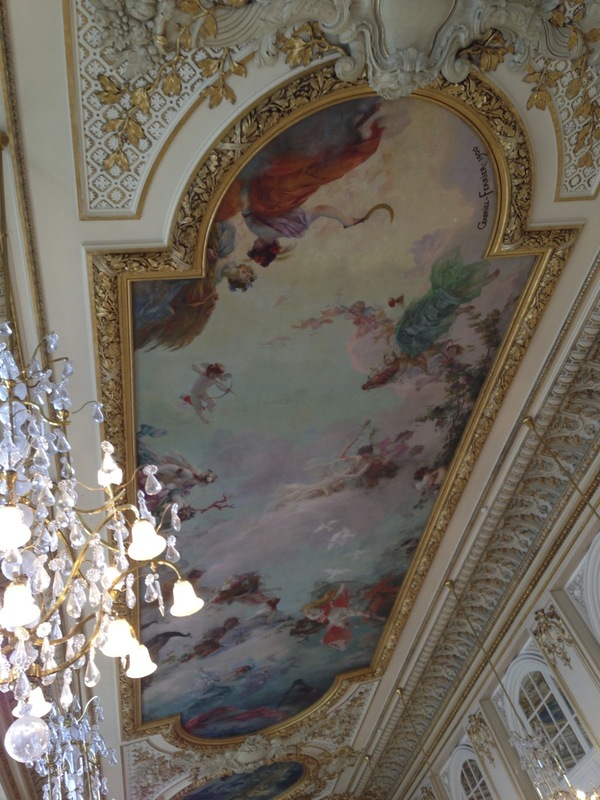 Alongside the Musée Jacquemart André, the other museum A hit during his time in Paris was the Musée d'Orsay. 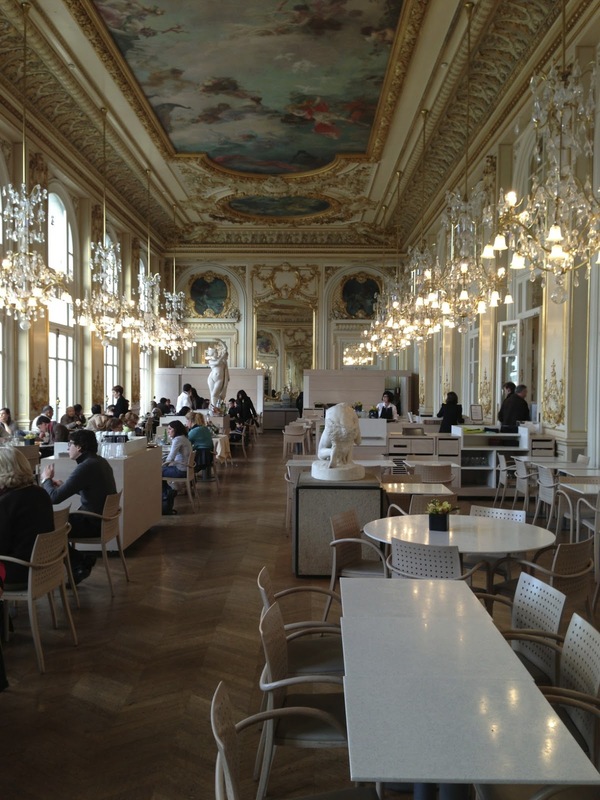 One of A's all time favourite galleries, the Musée d'Orsay is a collection of 19th and 20th century French art housed in an old train station on the Left Bank, right opposite the Louvre. It's unashamedly modern compared to its stuffy sibling across the Seine, and the main gallery, the old station concourse, is an amazing space, filled with natural light and beautiful objects. As so often with Parisian museums, the café is as much a part of the event as the museum itself and the Musée d'Orsay is no exception. Here, the café is the former dining room of the old station hotel and the surroundings are opulent to say the least: painted ceilings, gilded walls and floor to ceiling mirrors all feature in the palace of food, which is still open to the public today. This time, we only stopped for a quick sandwich and a drink. 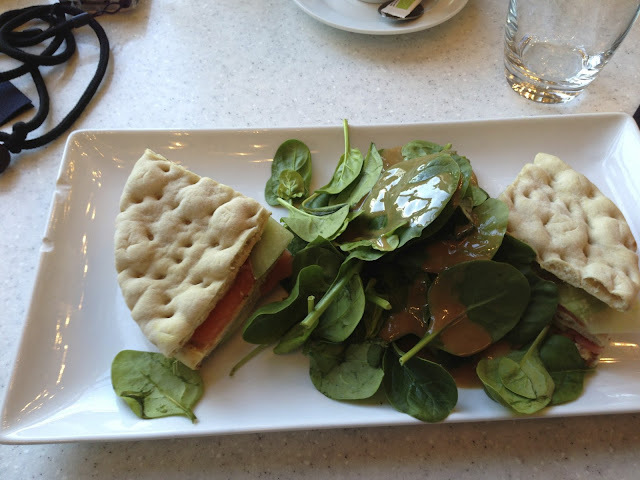 Everybody went for the same thing: a smoked salmon sandwich followed by a hot chocolate. The sandwiches were delicious, and immaculately presented. 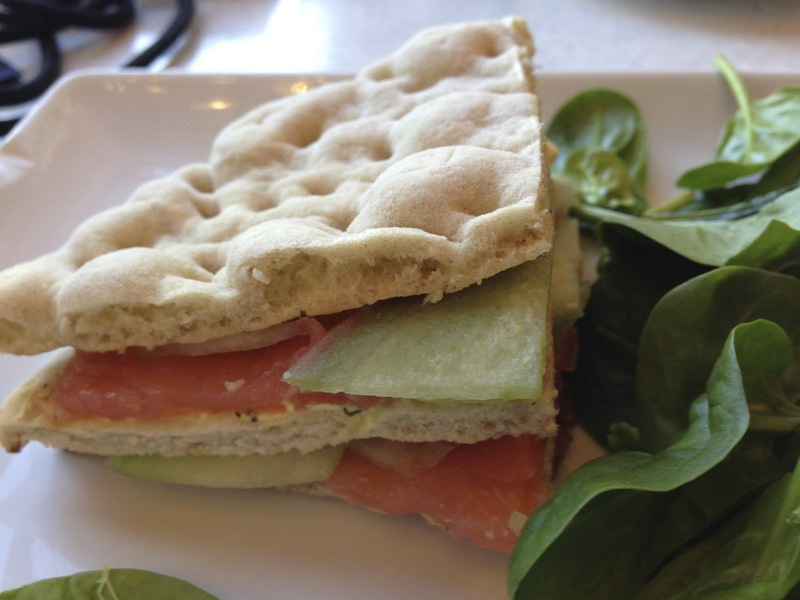 Each sandwich was a club sandwich of flat breads, delicious smoked salmon and spiced dill mayonnaise, served with a portion of crunchy baby spinach salad doused in a sharp vinaigrette. The soft textures of the club sandwich contrasted beautifully with the greens and made for a very pleasant stop. The hot chocolate was of the highest order too. 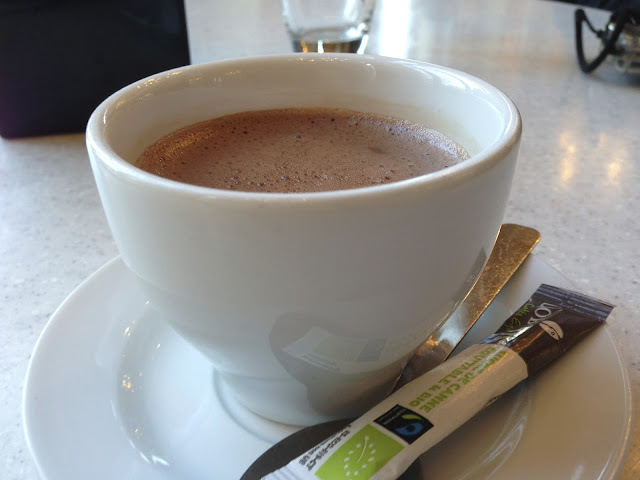 A is not usually a hot chocolate drinker, but this really hit the spot. The flavour was strong, but not sickly and the small cup was about the perfect amount (though it might not have represented the best value for money given its size). I know I've been enthusing about things to do in Paris, but as with the other museum, this place is well worth visting, and while you have to pay the entry to go to the café, do stop by if you're there.